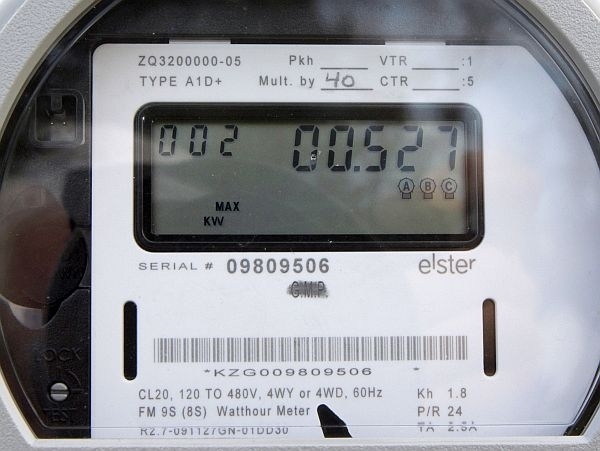 (Host) Opponents of wireless smart meters are taking their fight to Town Meeting. The new technology allows customers to save electricity, and gives utilities the ability to respond quickly to power outages. But the wireless meters have also raised health and privacy concerns. And now voters in several southern Vermont towns will get a chance to weigh in at next month’s town meetings. (Dillon) The state Health Department released a report last week that basically concludes that the public shouldn’t worry about smart meters. The report says the meters use the same type of radio waves as cell phones – but at much lower power levels. But the Health Department’s assurances don’t placate opponents. They gathered enough signatures against smart meters to put the issue before a number of town meetings. Martine Victor worked on the petition drive in Manchester. (Victor) "Many people would say already we’ve reached kind of a tipping point with what’s already in the environment with this type of radiation. And to sort of just egregiously add another layer with this smart grid technology doesn’t make sense." (Dillon) The town meeting ballot items ask a simple question: "Shall the town oppose the installation of wireless smart meters?" Victor says the goal is to get a moratorium on smart meters while questions about safety and privacy are answered. She says other experts refute the Health Department’s conclusions. (Victor) "We are hoping that our town and our officials will rise to the occasion and say we don’t feel this is a beneficial technology for our town and by extension in our state." (Dillon) Smart meters are on town meeting warnings in Manchester, Sandgate and Dorset. Organizers are hoping to get enough signatures to put the issue before at least three other towns. Many of the communities are in Central Vermont Public Service Corporation territory. Spokesman Steve Costello says CVPS plans to begin installing the meters by the end of the month. He says the potential benefits are huge. Customers will be able to track their power use minute-by-minute, and make decisions about when to run appliances based on times of day when electricity rates are low. (Costello) "The whole push here is to improve service ultimately to customers. We think that CVPS smart power and other smart grid programs that are going across Vermont and across the county have three main benefits to customers. It will help improve energy usage control, it will help us improve service, reliability and outage restoration, and it has environmental benefits, particularly connected to bringing on more local, renewable energy." (Dillon) The utility plans to install the new meters where existing meters are located now. The devices look much like the analog meters, but instead of the rotating dials there is a digital display showing energy use. Costello says the technology is safe. (Costello) "The science is very clear that there is no impact. And that’s been determined by the World Health Organization, by the Federal Communications Commissions, by multiple other bodies including the state of California." (Dillon) If customers don’t want smart meters, they have a choice to opt out. But the utility wants to impose a monthly charge of $10 a month to cover the extra cost it says it will incur to read the meters by hand. That potential charge bothers Richard Dahm of Sandgate. (Dahm) "It’s sort of an insult to charge residents $10 a month for not getting a new meter on their house. It’s sort of we don’t have an option. If we don’t have a new meter on, we have to pay CVPS $10 a month." (Dillon) CVPS and other utilities wanted to levy the $10 charge immediately. But under pressure from the Department of Public Service – the agency that represents consumers – the utilities agreed to wait in order to see how many customers opted out of the technology, and how much it actually costs to read meters by hand. (Host) Smart meter initiatives are also pending in Sunderland, Arlington and Bennington. You can find select board minutes and warnings from these – and many other towns – at VPR’s Public Post.